In his prime-time speech, U.S. President Donald Trump wrongly accused Democrats of refusing to pay for border security and ignored the reality of how illicit drugs come into the country as he pitched his wall as a solution to trafficking. Here's a look from The Associated Press at his Oval Office remarks from Tuesday night. 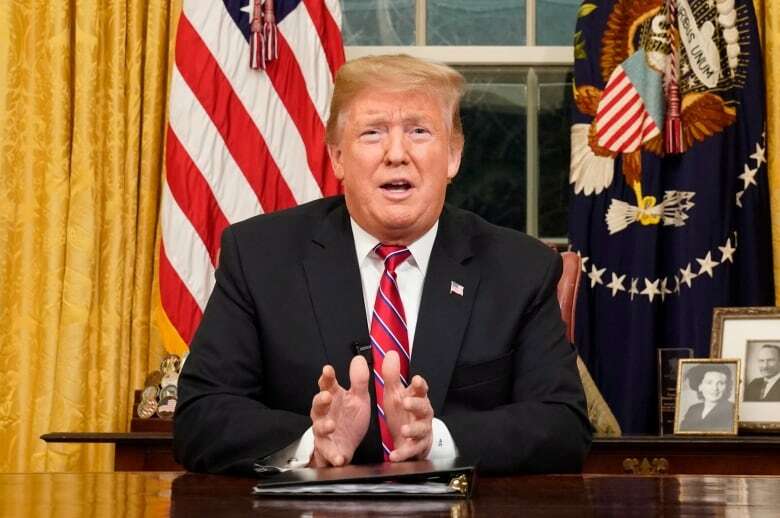 In his prime-time speech to the nation, U.S. President Donald Trump wrongly accused Democrats of refusing to pay for border security and ignored the reality of how illicit drugs come into the country as he pitched his wall as a solution to trafficking. The Associated Press took a look at his remarks from the Oval Office, and the response from top Democrats. TRUMP: "Our southern border is a pipeline for vast quantities of illegal drugs, including meth, heroin, cocaine and fentanyl. Every week, 300 of our citizens are killed by heroin alone, 90 per cent of which floods across from our southern border." The 2013 Border Security, Economic Opportunity and Immigration Modernization Act had money to double the number of miles of fencing, to 1,126 km, as well as for more border patrol agents. It also had a mandatory employment verification system to ensure all U.S. employees are authorized to work in the country. In exchange, however, the bill allowed immigrants living in the country illegally to apply for a provisional legal status if they paid a $500 fine and had no felony convictions. As well, many Democrats voted for the Secure Fence Act of 2006, which has resulted in the construction of about 1,050 kilometres of border barrier. But that legislation didn't authorize the kind of wall Trump has long been advocating since he launched his campaign. SEN. CHUCK SCHUMER, Senate Democratic leader: "The president of the United States, having failed to get Mexico to pay for his ineffective, unnecessary border wall, and unable to convince the Congress or the American people to foot the bill, has shut down the government." — response to Trump. TRUMP: "Over the years, thousands of Americans have been brutally killed by those who illegally entered our country and thousands more lives will be lost if we don't act right now." Multiple studies from social scientists and the libertarian think-tank Cato Institute have found that people here illegally are less likely to commit crime than U.S. citizens, and legal immigrants are even less likely to do so. As well, a study in 2017 by Robert Adelman, a sociology professor at University of Buffalo, analyzed 40 years of crime data in 200 metropolitan areas and found that immigrants helped lower crime. New York City, for example, has the nation's largest population of immigrants living in the country illegally — about 500,000 — and last year had only 289 murders among a total population of 8.5 million people, according to preliminary data. Those numbers mean a person's odds of becoming a victim of homicide in tightly packed, diverse New York City were about the same as they were in Wyoming, Montana and South Dakota. THE FACTS: Few would dispute that a humanitarian crisis is unfolding, as the demand for entry by migrants and the Trump administration's hardline response to them are overwhelming border resources, further backlogging the asylum system and forcing migrants to live in abysmal conditions on the Mexican side of the border. Two sick children recently died in the administration's custody after making the journey to the U.S. 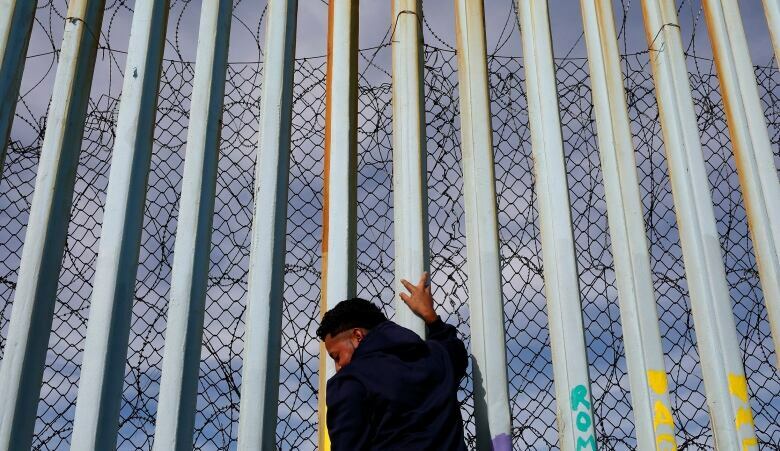 When barriers were built in the Border Patrol's Yuma, Ariz., sector in the mid-2000s, arrests for illegal crossings plummeted 94 per cent in three years to 8,363 from 138,438. When barriers were built in San Diego in the 1990s and early 2000s, arrests fell 80 per cent over seven years from 524,231 in 1995 to 100,681 in 2002. But both areas also saw sharp increases in Border Patrol staffing during that time, making it difficult to pinpoint why illegal crossings fell so dramatically. Watch the full statements by both Trump and the Democrats.